Even at the height of the tourist season, when we were in Venice, it was still possible to spot native Venetians amongst the thousands of non-Italians. There are also bars and cafés away from Piazza St Marco where you can pick up a more authentic Venetian vibe. I took this candid with my Olympus OMD EM5 and Panasonic 35-100mm f2.8 OIS lens at one such place. Hope you like it. 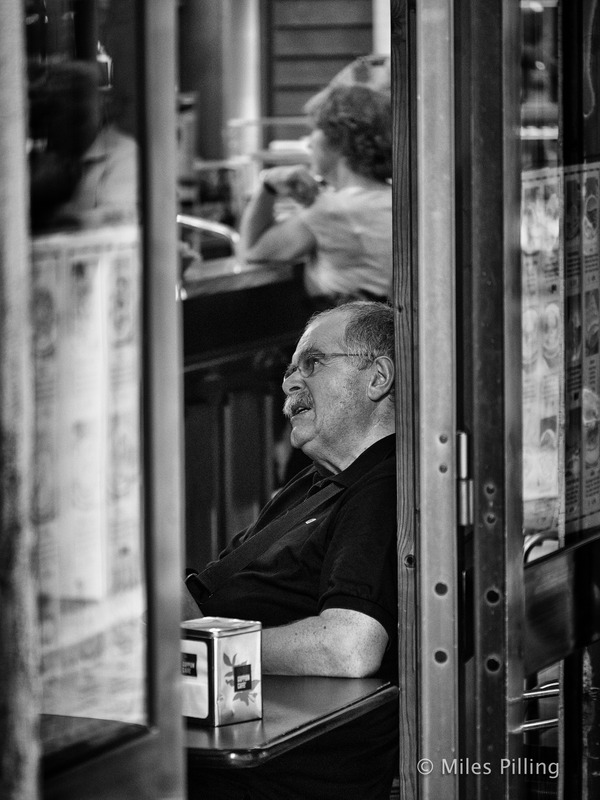 The latest image with a street photography(ish) slant, from my newer site – mindfulphotos.org I hope you like it.